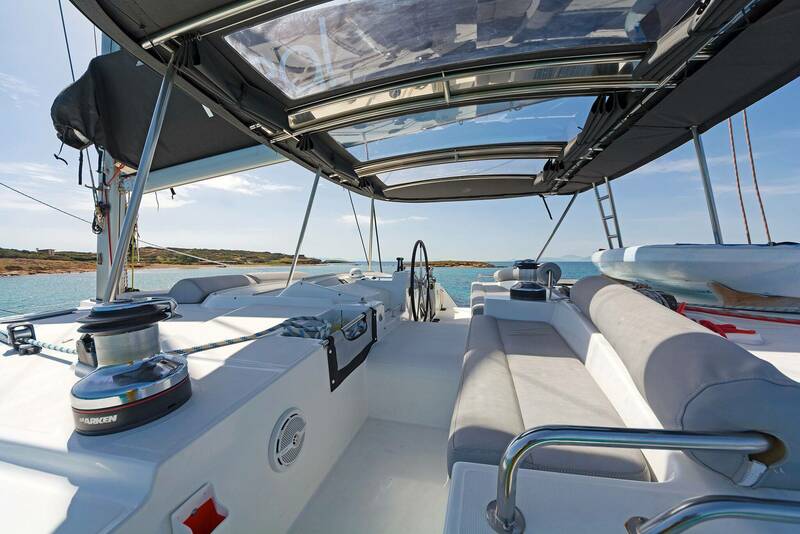 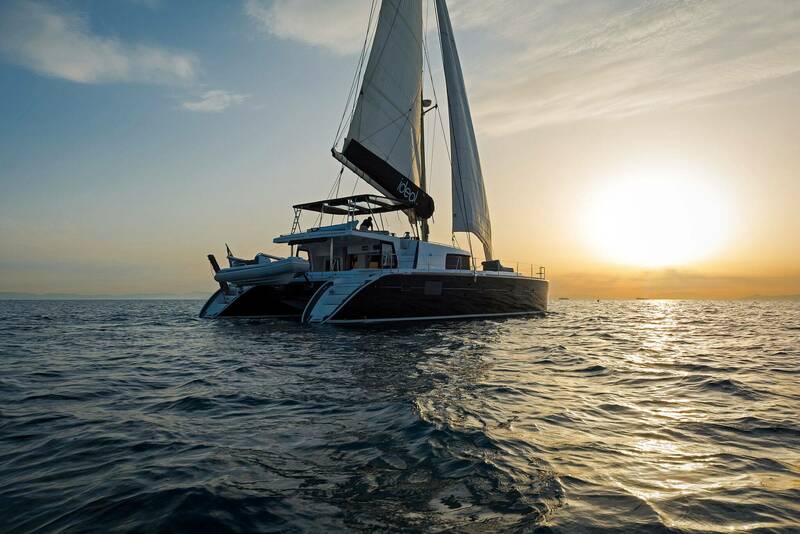 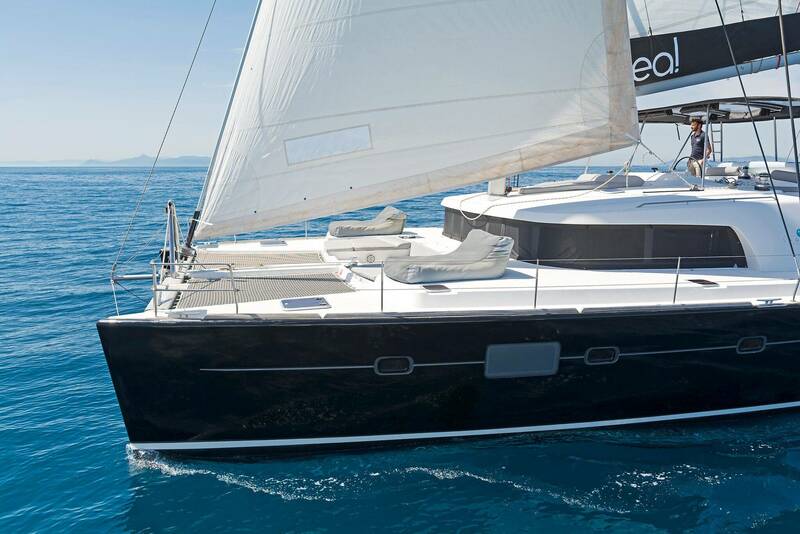 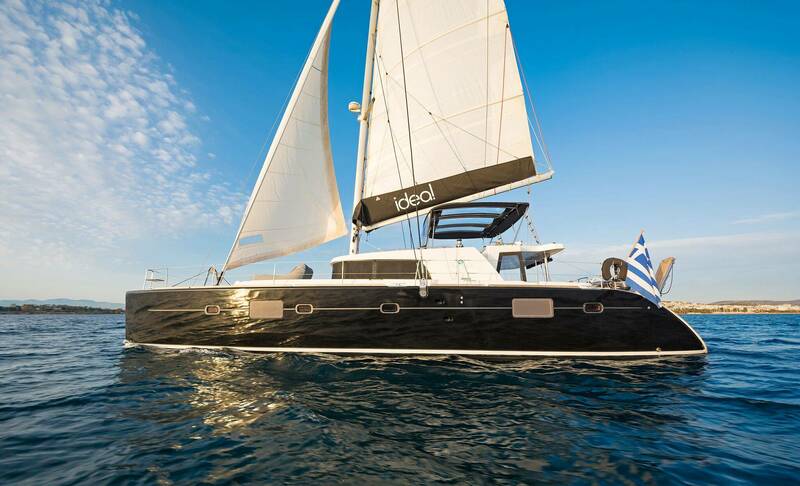 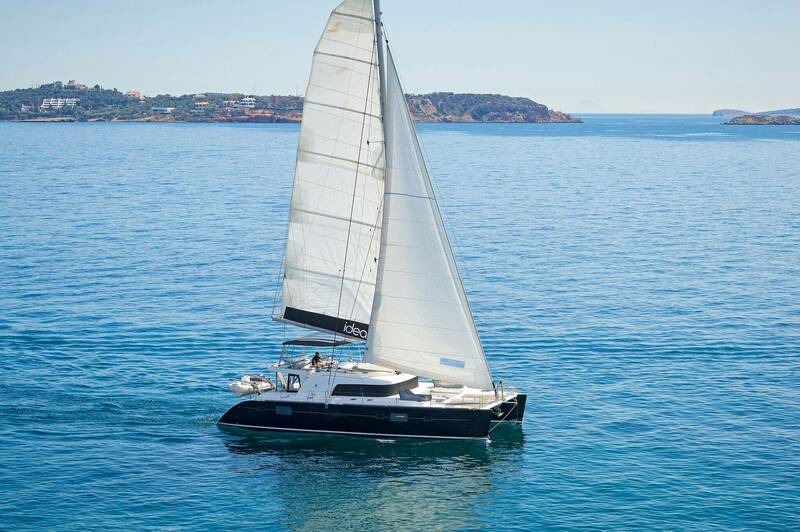 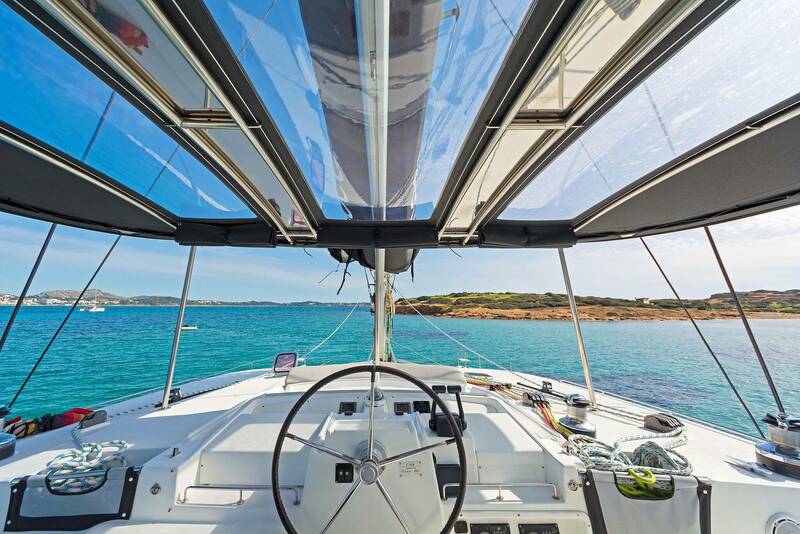 The 'Idea' is a spacious cruising catamaran, available for charters in various locations throughout Greece. 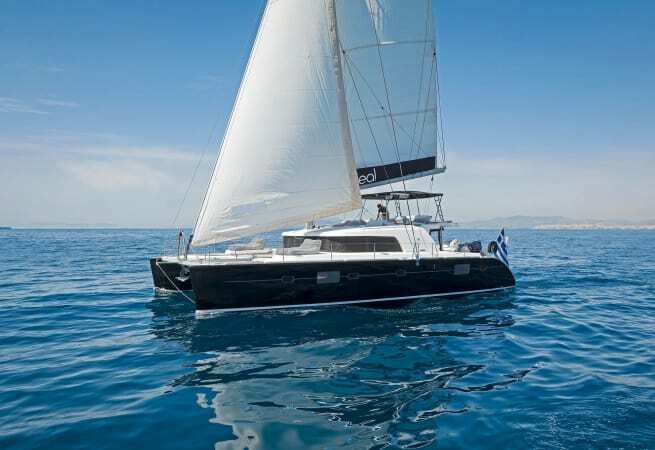 Possible charter areas include the Cyclades, Dodecanese, Ionians and Sporades islands, as well as the Saronic and Argosaronic Gulfs. 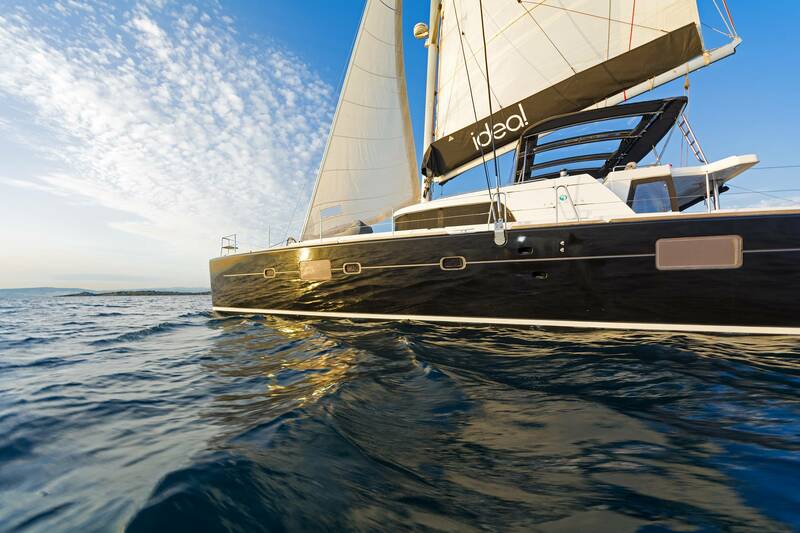 Please enquire for prices and availability. 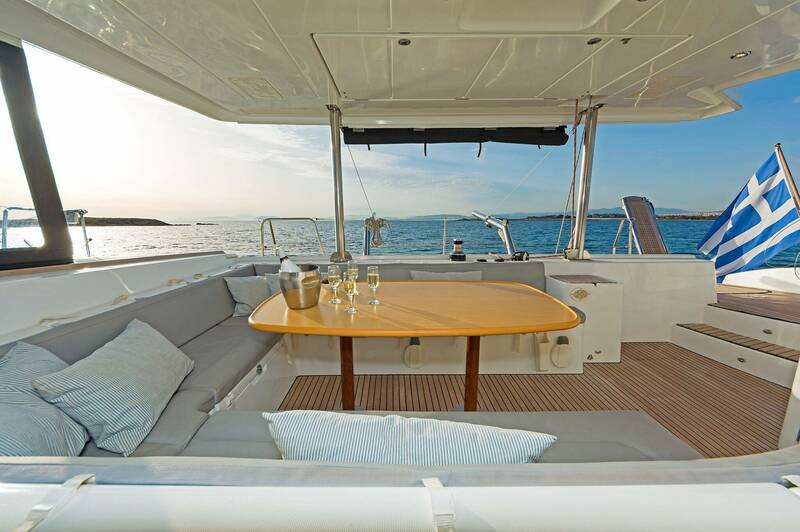 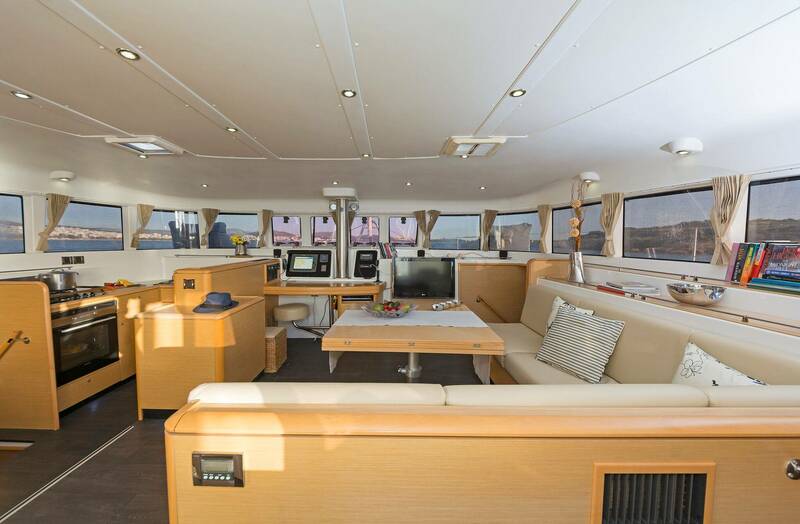 The 'Idea' was built in 2009, and she boasts a modern, well-furnished interior, in addition to her exterior good looks. 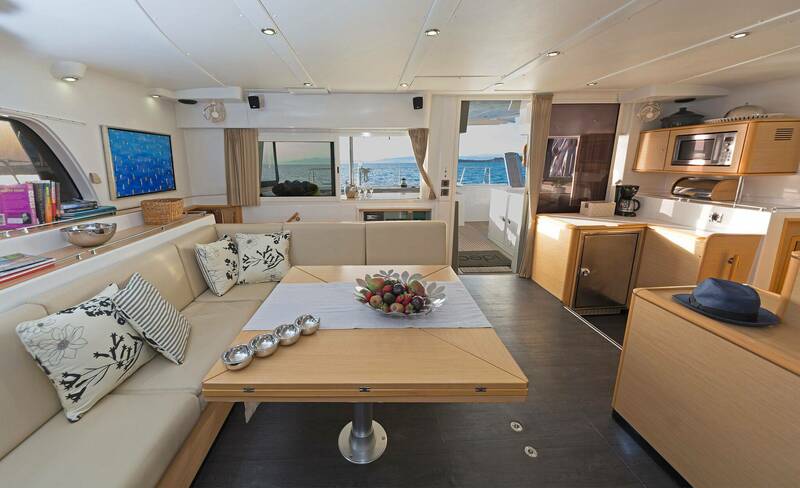 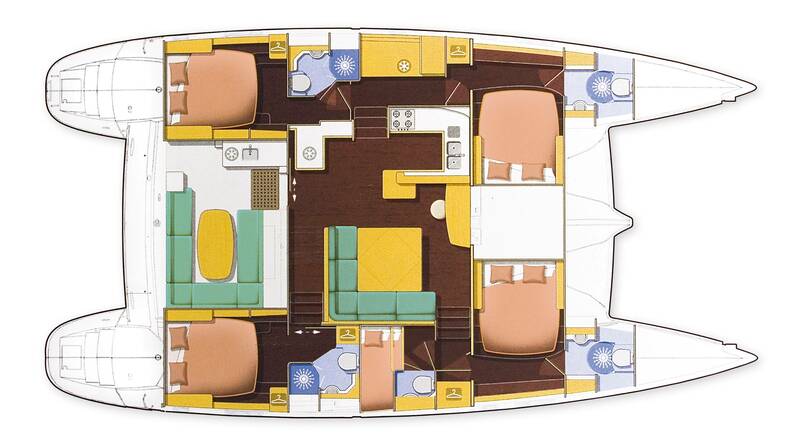 She comes with 5 cabins (4 queen-size beds and a twin cabin), each with an ensuite and full air conditioning. 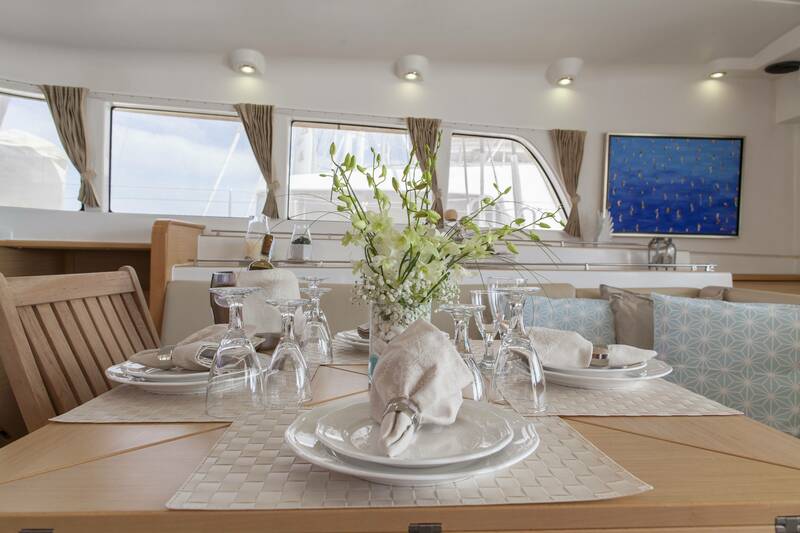 Idea offers amazing views from her large decks and bridge, as well as from the windows in each of her cabins. 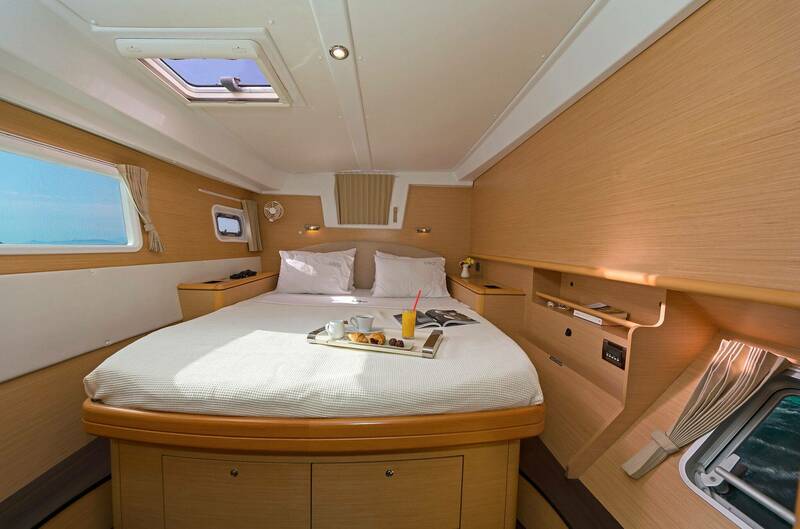 Along with the amazing onboard facilities, Idea! 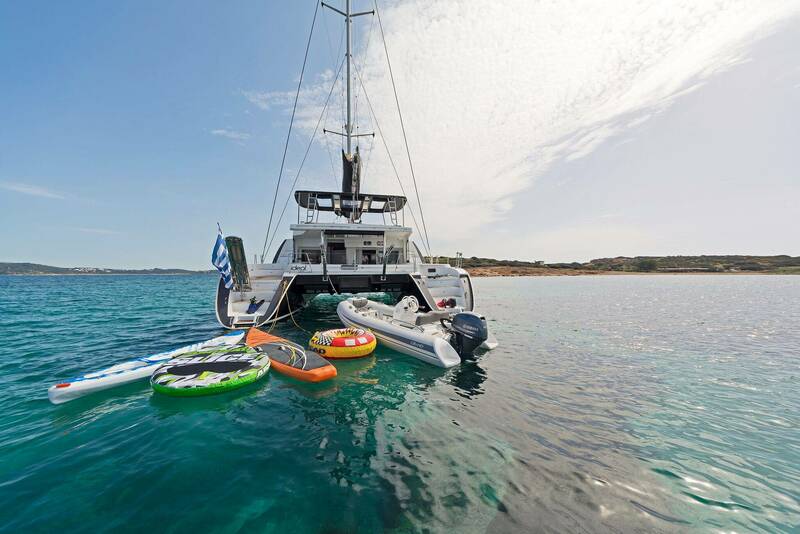 also has some great sea toys for holiday fun including a RIB outboard, water skis, inflatables and a kayak, as well as under water lights for amazing night swimming!